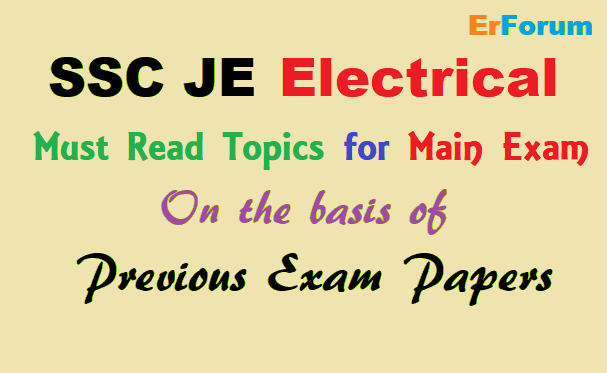 This analysis of previous SSC JE EE conventional/subjective papers will help you to make a priority of the subjects for better result output. 4. The Resistance temperature coefficient calculation at the different temperature. #Note: The above topics will helps you to score around 50-60 marks in the examination. For more, you have to read not only these topics but read as much as possible. For detailed syllabus of Electrical Engineering Click here.